Does this sound familiar? You're expected to produce releases at an ever-increasing rate. You're under pressure to add new features and deploy to customers sometime between your first cup of coffee in the morning and lunch, if you have time to eat it. In the meantime, you have the same release processes you've always had and it's got problems. Maybe there's some automation, but there's room for lots of improvement. Manual steps are everywhere, everyone has a different environment, and working all weekend to get a release into production is normal. We are happy to announce a new free ebook – Introducing Windows Azure for IT Professionals by Mitch Tulloch with the Windows Azure Team! 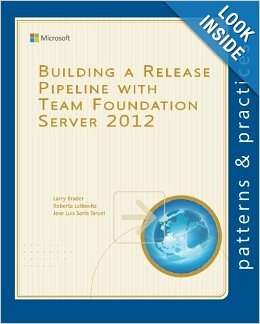 Whether you’re new to the Windows Azure platform or are already using it in your business, this book has something that should interest you. Most Windows Azure services are described in some detail, with screenshots used to demonstrate some of the multitude of capabilities of the platform. And for the experienced we have lots of under-the-hood insights and expert tips written by Microsoft insiders who develop, test, and use the Windows Azure platform. This article aims to show you how to read/write a process' memory using C# and some methods found inkernel32.dll. This is a good way to learn a part of WinAPI and also understand the basics of memory allocation. Recently I was looking into someone’s code found that they are using the throw(ex) to log exception so I told that person that why you are not using only throw he said there is no difference.. Wait this is not true there is a difference. So, this post is all about throw Vs. throw(ex) best practice and what is difference. Today we released VS 2013 and .NET 4.5.1. These releases include a ton of great improvements, and include some fantastic enhancements to ASP.NET and the Entity Framework. You can download and start using them now. Below are details on a few of the great ASP.NET, Web Development, and Entity Framework improvements you can take advantage of with this release.